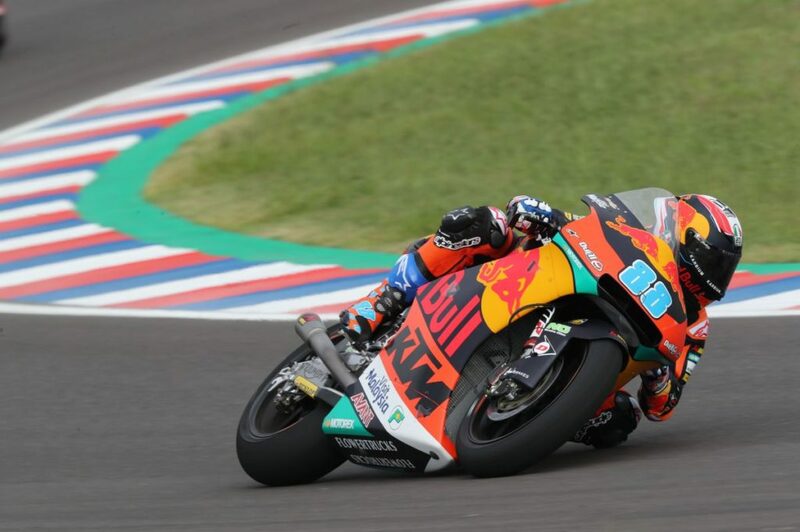 The reigning Moto3 World Champion, Jorge Martin, continued to steadily lower his times, and rode a spectacular 1:43.000 lap that placed him 5th. Those results took the Red Bull KTM Ajo Moto2 pair straight into Q2. In that 15 minute session, Martin, ended up 17th, and will take off from the sixth row.